Sending bulk SMS is now becoming one of the most important tools for businesses. SMS specifically for Engineering and Manufacturing is ideal for automating machines, alarms and also to customize messages sent to all workers, including security personnel. By sending SMS with Instasent, your company that gain a better organization and control. 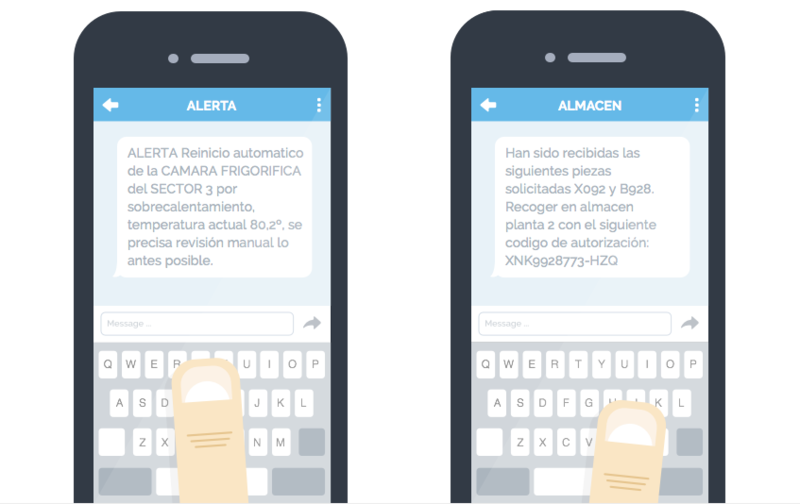 Programming alerts: You can monitor machines remotely by sending alerts to the technicians, that will receive it in their mobile phones instantly and safely. Alarm messages: The security personnel can be noticed of incidents that happen in your establishment, warehouse or facilities. With SMS you can guarantee a quick fix. Incident notice: LCompanies or factories that have machines running 24 hours a day are more at risk for any spoilage or incident. Through our SMS services you can inform quickly, clearly and concisely of these incidents so that they can be solved as soon as possible. Internal communication: For greater organization and communication of staff working in these companies, factories or warehouses we recommend the use of Instasent's services. It is much easier to plan rotations, schedules and shift changes of workers . In addition also it allows to do or confirmations requests overtime for example through the virtual number.